Enjoy the best inspirational, motivational, positive, funny and famous quotes by Armand Nassery. Use words and picture quotations to push forward and inspire you keep going in life! 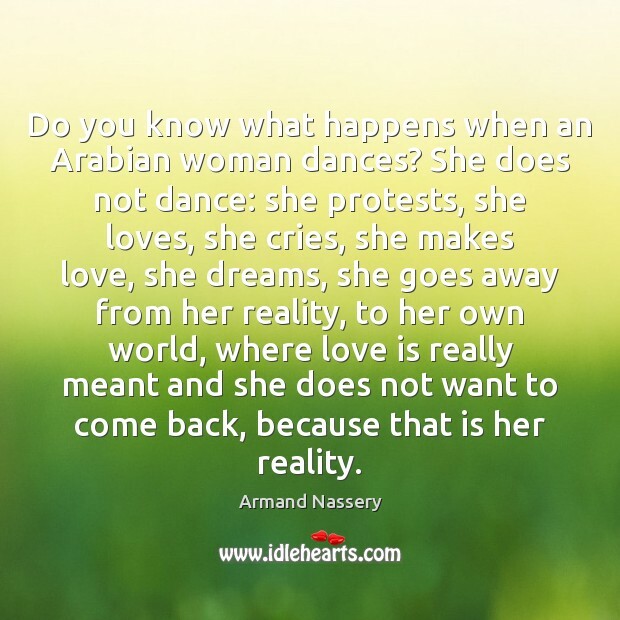 Do you know what happens when an Arabian woman dances? She does not dance: she protests, she loves, she cries, she makes love, she dreams, she goes away from her reality, to her own world, where love is really meant and she does not want to come back, because that is her reality.